Canadian head coach Laura Schuler walked into the mixed zone at the Videotron Centre in Quebec City. She was asked what she thought of her team’s performance in their 5-2 loss in the exhibition series opener against the United States. She paused. Then she began. This was the first of six exhibition games between the top two women’s hockey countries in the world as they prepare for the 2018 Olympics in February. The next game will be Wednesday night in Boston. The game was 2-1 USA after one period, but the second period ended with the score 5-1 as the United States had three power play goals, one short-handed marker and one at even strength. Canada has been playing in the Alberta midget boy’s league while centralized in Calgary. The United States, based in Tampa, have also been playing boys teams. “We get caught up playing our men’s circuits or whatever we’re doing in our respective areas but whenever we can play against one another it’s a great game and it’s the games that you live for and cherish whether it’s your first game or your 100th, it’s just a great rivalry,” said USA forward Hilary Knight. The game started off well for Canada, and it appeared that they took the lead. However, after Bailey Bram beat USA goaltender Maddie Rooney, it was ruled that the forward kicked the puck in. The United States used the reprieve to open the scoring. On the power play about four minutes later, Megan Bozek took a point shot that rang off the post. Knight then took the rebound and put it past Desbiens for the 1-0 lead. Seven minutes after that, Brianna Decker picked up a Jocelyne Lamoureux rebound to double the American lead. 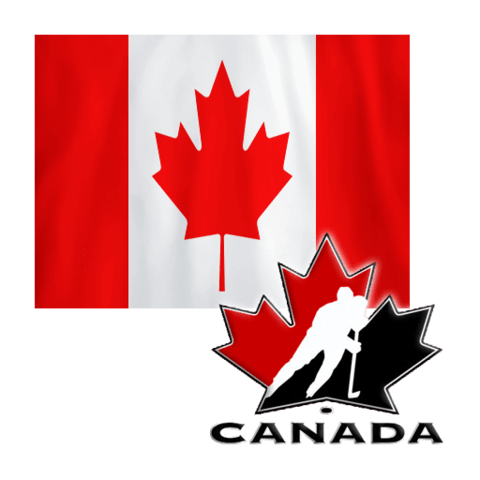 Canada would get one goal back just 1:31 after Decker made it 2-0 when Agosta jumped on the loose puck and took advantage of Rooney slipping to score in the open net. Six minutes after that, Decker would score her second of the game to make it 5-1. After holding the US without a shot for almost half of the final period, Brianne Jenner found Jill Saulnier with a pretty backhand pass to make it 5-2, which is where the game ended. The two teams now have a few days off, and will meet again in Boston on Wednesday. You should expect to see a different Canadian team, and not only because six players were scratched. “You’ll see a different team. You’ll see a team that will play how they can play with grit, determination and pride. And we did not see that tonight,” she continued. Her players also know there is work to do. “We need to work on the little things, moving the puck up with speed, burying the opportunities that we have, not letting them get in behind us and getting those scoring chances,” Agosta said. Although the Americans were the better team on the night, it was a sloppy game all around and they know they also have work to do for the Olympics. “There were some times out there we needed to be a little sharper, some defensive zone coverage, some better passes out there need to be a little more crisp so we’re just going to focus on those little things,” Decker said.